One of Pakistan’s most openly progressive politicians was gunned down Tuesday in an act that violently highlighted extremists’ tightening grip on the country even as the beleaguered government struggled to stay in power. The killing of Salman Taseer, apparently at the hands of one of his own guards, marked the most prominent political assassination in Pakistan since former prime minister Benazir Bhutto’s death three years ago. The razor-tongued governor of Pakistan’s most populous province was known for speaking out on behalf of women and religious minorities, and his slaying stunned the nation and alarmed U.S. officials. It also further rocked Taseer’s ruling Pakistan People’s Party, which is desperately trying to keep its government afloat following a key ally’s defection to the opposition Sunday. The secular PPP condemned the killing and promised a swift investigation, but its weakened position undermines its ability to crack down on religious extremists. In timing that underscored those limitations, Taseer was shot in an upscale area of Islamabad as Pakistan’s main opposition party was across town demanding that the government agree within three days to implement a list of reforms, or risk collapse. After the killing, the party of former prime minister Nawaz Sharif said it would allow three additional days for the changes, including a slash in government spending and the reversal of unpopular fuel price increases. Taseer was a chief ally of President Asif Ali Zardari, who in 2008 appointed him governor of Punjab, Pakistan’s wealthiest province. But Sharif’s party rules the province, making Taseer’s assassination a blow to the federal government’s influence there. Taseer’s apparent killer cited his boss’s stance against a controversial anti-blasphemy law in justifying his actions. As the embattled, pro-U.S. PPP sought in recent days to win back defecting allies that also include a small Islamic party, it had already said it would not support a proposal to change the blasphemy statutes. That left Taseer one of the few vocal champions of the move, which hard-line religious organizations had labeled a Western conspiracy. The laws have drawn scrutiny since a Christian woman was sentenced to death in November for allegedly criticizing the Muslim prophet Muhammad. Taseer had called for her pardon, leading religious groups to denounce him as an “apostate” and burn effigies of him during a nationwide strike last week in support of the law. One Muslim cleric has offered $6,000 to anyone who kills the woman, who remains in jail. 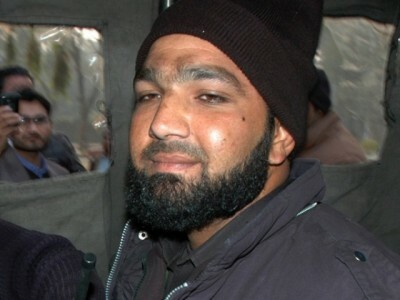 Even as Pakistani television stations were dominated Tuesday by commentators condemning rising religious intolerance, supporters of Taseer’s arrested guard, Mumtaz Qadri, 26, created a page for him on Facebook. Page visitors called him a “hero” and praised his “awesome job.” No major unrest over the killing was reported, but authorities said they were on high alert. Yet in a country where Taliban militants increasingly flex their muscles through bombings, religious hard-liners have great power to intimidate even though polls show that their views are not widely shared. Last week’s strike by Islamic organizations drew few supporters to the streets, but shops in major cities closed – and many merchants said they did so under threat. Human rights activists say the blasphemy laws are also abused by extremists, who use them as a tool to persecute minorities or opponents by bullying police and courts into arrests and convictions. The laws were strengthened during the 1980s rule of Islamist military dictator Gen. Zia ul-Haq. Taseer lamented the power of the religious mob in an interview last summer following bombings of mosques belonging to the Ahmadi sect, whose members identify themselves as Muslims but are barred by the constitution from “posing” as such. Taseer – whose appointed position gave him little direct power in Punjab – condemned the provincial government of Sharif’s center-right PML-N for what he called its tolerance of radical religious groups. Authorities said Taseer’s guard, a member of an elite Punjab provincial police force that provides VIP security, shot the governor multiple times outside the Kohsar market in Islamabad, a small shopping plaza near his residence that is frequented by foreigners. The guard proudly surrendered to police afterward, according to local news reports. “The governor of Punjab was the bravest person in our government, and the stands he took for women, minorities and on the blasphemy law were incredibly brave and will never be forgotten,” Farahnaz Ispahani, a Zardari spokeswoman, said in an interview. Taseer, who began his political career as a PPP student activist, was a successful businessman who played polo and smoked heavily. With his flashy sunglasses and frequent Twitter dispatches, Taseer, 66, cut a rather shocking figure in a country dominated by conservative social mores. Critics assailed him for fathering a child with an Indian journalist while he was still married to the mother of his other children. In 2008, minor scandals broke out when opponents published photos online of him holding wine glasses at parties and of one of his daughters wearing shorts and dancing. Despite the alleged gunman’s confession, Taseer’s killing was sure to be swept up in the conspiracy theories that permeate Pakistani politics, particularly in times of turmoil. Interior Minister Rehman Malik said investigators would seek to determine whether the suspect acted alone or was “asked” to carry out the attack. In the hours after the killing, some criticism centered on the PML-N-led Punjab government, which provided Taseer’s police guard. There was no indication Tuesday night that the party played a role. But the PML-N might yet bring down the PPP, whose government faces growing criticism over corruption, a floundering economy and a ham-handed response to last year’s devastating floods. The ruling party’s coalition partner, the Muttahida Qaumi Movement, withdrew from the government Sunday, weakening its mandate by depriving it of a parliamentary majority. A united opposition could pass a vote of no confidence in Prime Minister Yousaf Raza Gillani, leading to his ouster and potentially triggering early elections. That has appeared unlikely, because of divisions among opposition parties. But Sharif threatened Tuesday to “ask the opposition parties to come forward and we will give them our full support” if the government does not show progress on reforms within 45 days, according to the Associated Press. Like many in the PPP, Taseer often criticized opposition parties for stoking political instability in a country that has been ruled by the military for half its 63-year history and where an elected government has never completed its term. In Pakistan these extremists enjoy state ( read Pakistani military) support, the extremist organizations banned by the UN change names overnight and operate in broad daylight, receive grants from the Government ….. ! That is what is Pakistan is all about …. !